In this episode I would explain how to use ‘POST’ method of SAP S/4HANA Cloud API from SAP API Business Hub. 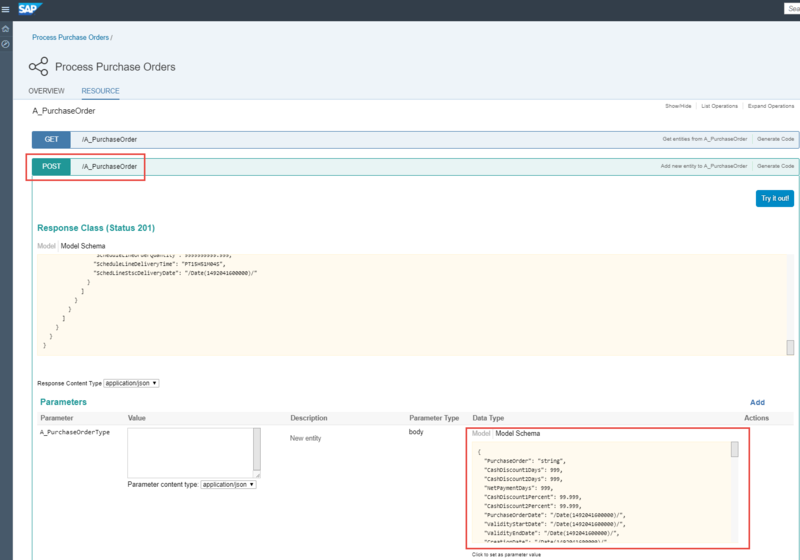 In our example here, we will create a Purchase Order in SAP S/4HANA Cloud using “Purchase Order” API. Note: Copy the x-csrf-token value i.e. value mentioned between “[ and ]”. We would need to mention it for POST request. Note: For our example here we will not pass the PO number in input data under “PurchaseOrder” because we would be getting it generated from the system itself under Response Header (might vary based on your number range settings). The Response code would be displayed as ‘201’ when PO creation is successful. We can copy this new PO number from Response Body and check the details of it either by calling ‘GET’ method again or by directly logging into your SAP S/4HANA Cloud tenant. Note: In case we are providing some wrong data, we would be able to see error message in Response Body itself. 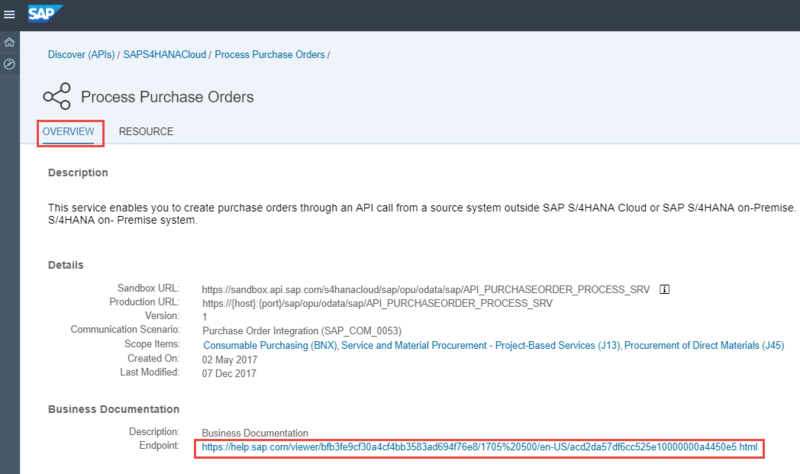 We have now successfully created a Purchase Order in SAP S/4HANA Cloud using POST method of “Process Purchase Order” API triggered from SAP API Business Hub.